Just because someone has millions, or billions of dollars doesn't mean they still can't be cheap. Some famous people that are known for being frugal include Warren Buffet and Sam Walton. Buffett has lived in the same house since the 1950s and drives a seemingly ordinary Cadillac. Walton, who co-founded Wal-Mart, was quoted as saying he drove a pickup truck because "What am I supposed to haul my dogs around in, a Rolls-Royce." While some rich people are understandably frugal, others are just plain cheap. Here are four incredibly cheap celebrities and what kind of penny pinching antics they attempted to pull off. Chaplin was known for being a silent movie comic and was also pretty silent when the check came. In 1916 Chaplin was earning $10 thousand a week, which would be about $220 thousand a week today. Even though he had millions in his bank account, he didn't carry cash and let others pick up the tab at dinner. Other celebrities of his day agreed on his cheapness. Orson Welles called him the "cheapest man who ever lived," while Marlon Brando said that Chaplin was "an egotistical tyrant and a penny-pincher." One infamous thing Chaplin did was use movie set carpenters to build his home in Beverly Hills that later became known as the Breakaway House since it was so flimsy. Charlie Chaplin had a net worth of $50 million. Grant was known for being a Hollywood movie star with handsome looks. Perhaps his cheapness came from the fact that he grew up in modest circumstances in England. He became one of Hollywood's highest paid actors in the 1930s and was married to one of the richest women in the world, Barbara Hutton, heiress of the Woolworth stores. Grant marked his milk bottles so that his house servants would not drink them. When he had houseguests over, he charged them for laundry and other expenses. Grant even charged a quarter per autograph. He told fans it was for charity, but he pocketed the money and it added up. He ended up passing away with almost every dollar he ever made, and had a net worth of $10 million. Although he was a very popular president who will always be remembered, JFK was also known for being very cheap. John's father gave him a trust fund, which would be worth $170 million in today's dollars, but Jack was not quick to spend much of it at all. JFK often allowed his friends, dates, and even Secret Service agents to pick up the tab. John and First Lady Jacqueline Kennedy apparently even got into arguments about the White House grocery bill. Perhaps one reason he seemed so cheap is that JFK ended up donating his entire presidential salary to charity! After he was assassinated, he was immortalized on a half-dollar coin. 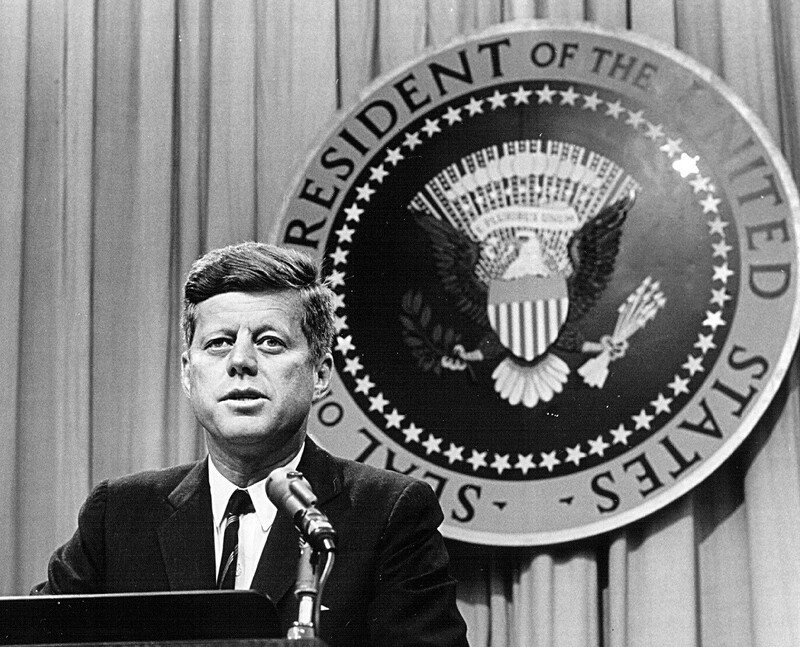 John F. Kennedy had a net worth of $100 million. King Edward VIII did something unheard of when he gave up the British throne to marry an American divorcee in 1936. Edward was demoted to Duke of Windsor while his wife, Wallis Simpson became Duchess. Edward had a fortune of somewhere between $80 and $250 million in today's dollars. The Duke often used "dillydallying tactics" to wait for his guests to pick up the tab. The royal couple worked out a deal with a cruise ship and would take many cruises at 70% off. It seems that most of the money Edward saved went to fund the Duchess' clothing collection, which typically came in at over $800 thousand a year in today's dollars.